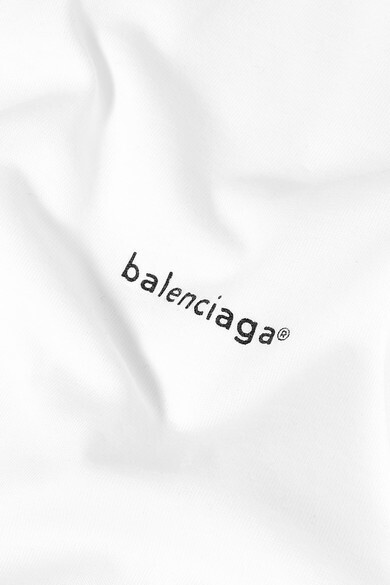 Balenciaga's T-shirt is printed with black lowercase lettering that's playfully followed by the ® symbol. 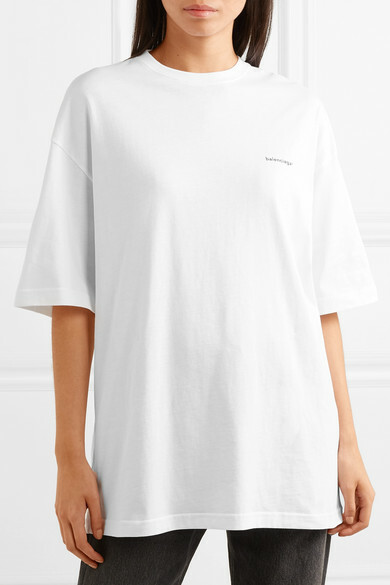 It’s made from soft white cotton-jersey and cut in Demna Gvasalia's beloved oversized fit. 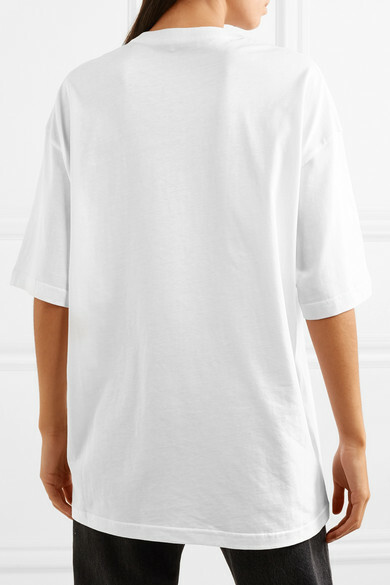 Half-tuck yours into tailored pants or jeans. 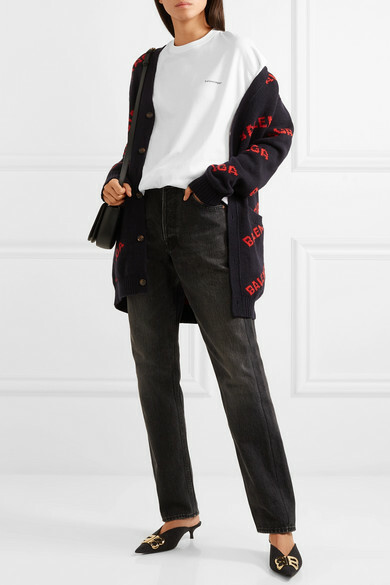 Shown here with: Balenciaga Jeans, Balenciaga Cardigan, Balenciaga Shoulder bag, Balenciaga Mules.